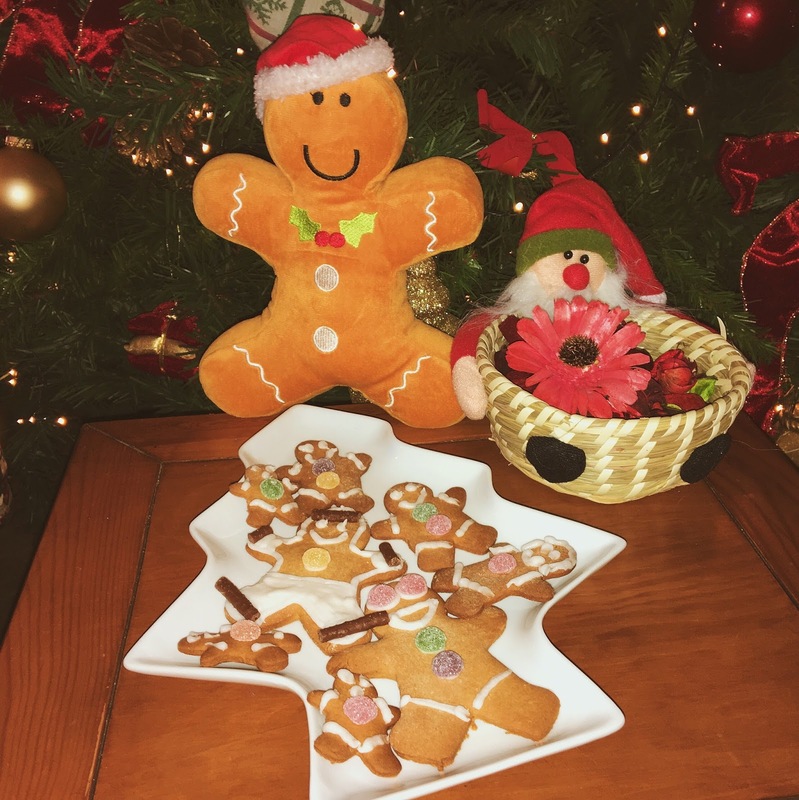 I'm going to giving you an amazing gingerbread man recipe today so keep reading if you want to know how to make the best gingerbread men in the world! You can use whatever you want, from smarties, to chocolate chips etc. I would recommend getting some icing and using an icing piper to decorate. Just let your imagination go wild! 2. Preheat your oven to 190C / Gas mark 5. 3. Sift the flour, bicarbonate of soda and ginger into your mixing bowl. Stir with wooden spoon. 4. Rub the butter into the dry mixture with your fingertips until it starts to feel and look like breadcrumbs. Add the sugar and stir with wooden spoon. 5. Crack the egg into your small bowl and add the 4 tablespoons of syrup, stir well. 7. Lightly grease your baking tray with some butter. 8. Knead the dough until it becomes smooth. Roll out until the dough is 1/2cm thick on a lightly floured surface. 10. 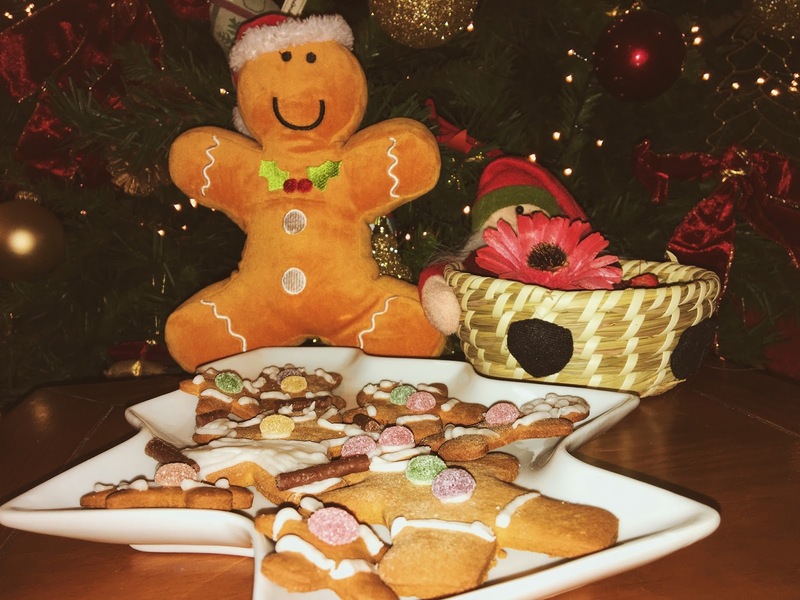 Bake your gingerbread men in the oven for 8-9minutes for a soft/chewy gingerbread man or 10-12 minutes for a more crisp gingerbread man. 11. Take your tasty treats out of the oven and allow them to cool on a cooling rack in the fridge for 10 minutes. 12. 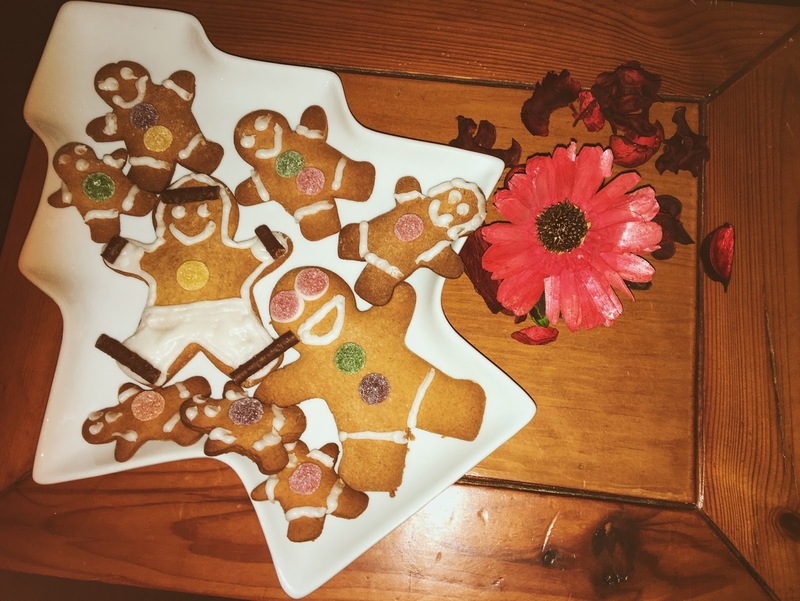 Finally, it's time for the fun part- Decorate your gingerbread men until they look perfect enough for you and your friends/family to enjoy!!! Thanks so much for reading guys, I hope you enjoyed this post.